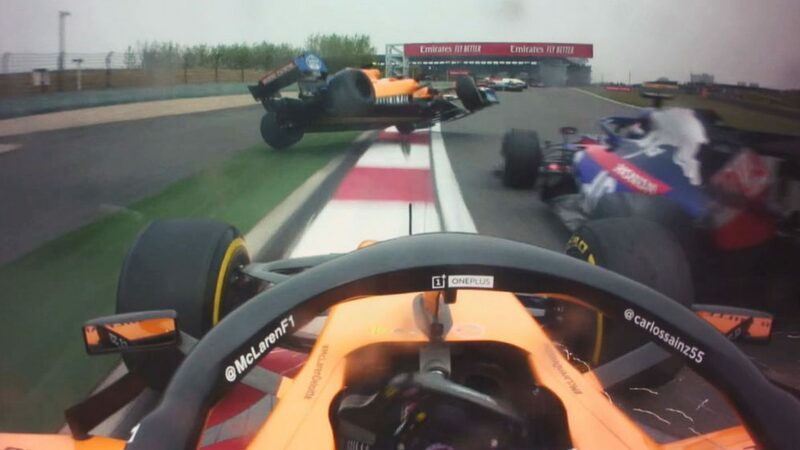 McLaren come into the Chinese Grand Prix weekend off the back of a highly encouraging Bahrain, where Lando Norris scored sixth (best of the rest after the big three teams) and where Carlos Sainz was fighting with Max Verstappen’s Red Bull before a collision between them resulted in a puncture for the Spaniard. What is front-limited car? Simply, a car’s which has as its limiting factor front-end grip. The impact this will have upon lap time will vary from circuit to circuit according to how much the layout demands of front grip. 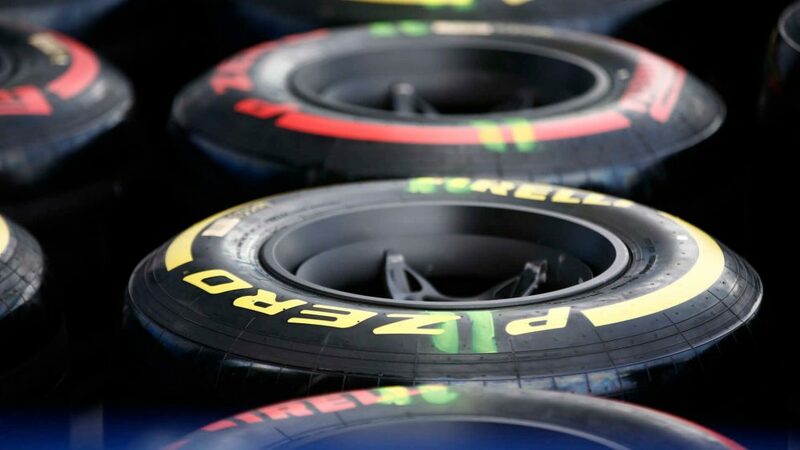 A circuit such as Bahrain demands a lot of the rear grip of the car, with repeated hard acceleration from relatively low speeds (Turns 1, 2, 4, 8, 10) and several long duration corners where the rears are under lateral load for a long time (Turns 6, 7, 11, 13, 14). So a front-limited car is not unduly punished. 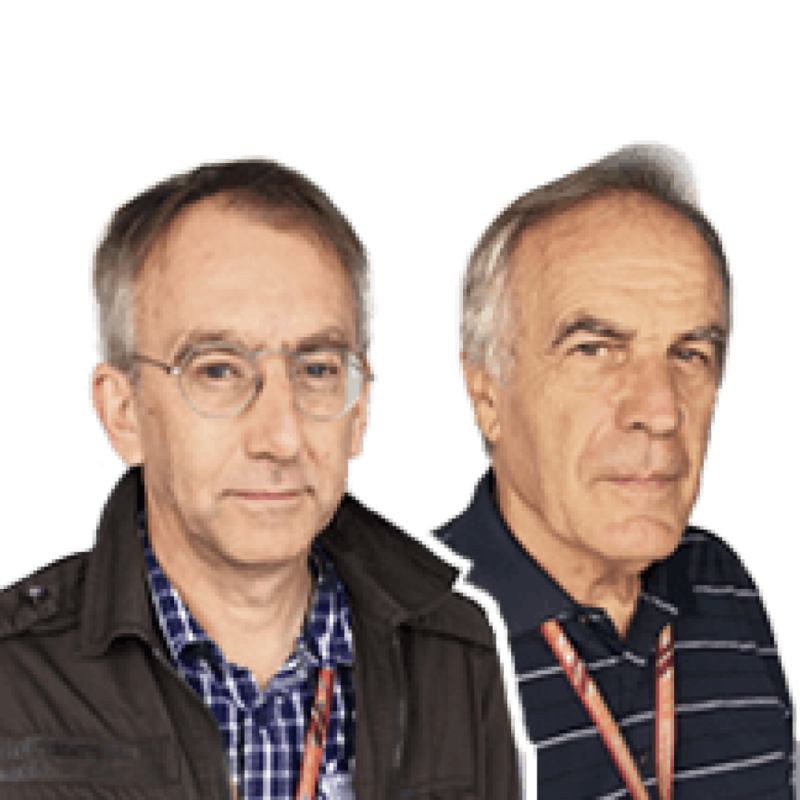 The handling balance of all cars can of course by adjusted by mechanical and aerodynamic set-up, but there is invariably an aerodynamic sweet spot where the car’s efficiency (i.e. how little drag for how much downforce) is at its best. If the set-up to give the required handling balance for the circuit is within the efficiency sweet spot, that’s ideal. 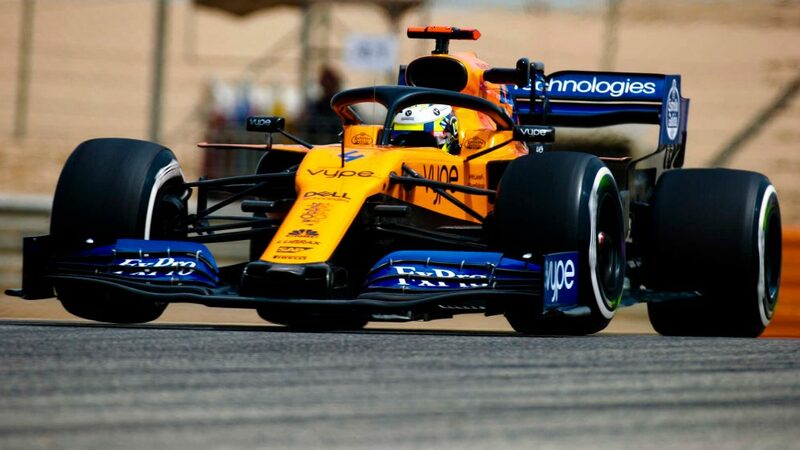 But it can be that it falls outside – as with last year’s McLaren, for example, which needed a very inefficient rear wing setting to tame the car’s natural rear instability. That car was very much rear-limited and because the handling balance and efficiency ranges were so mismatched, no amount of development could get around that basic trait of the car. 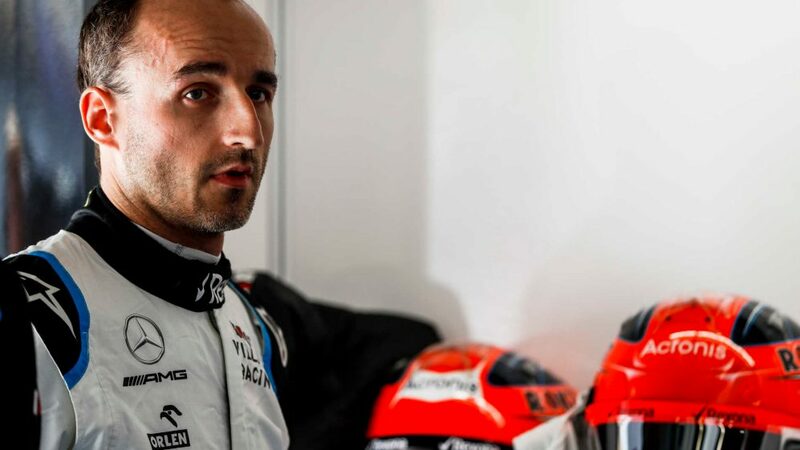 McLaren already knows that its 2019 car, the MCL34, is much closer to its ideal efficiency sweet spot when set up to give the driver the balance he needs. Some amount of development may yet be required to move its set-up range more certainly inside of that efficiency spot. 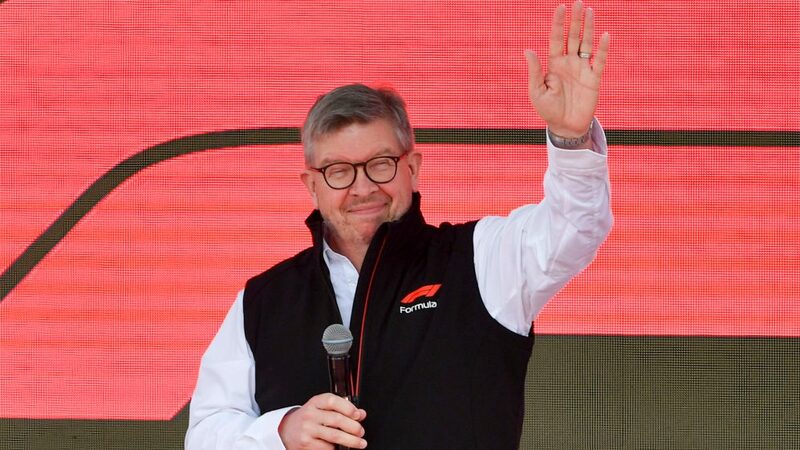 In Bahrain the team introduced an all-new barge board (see above). 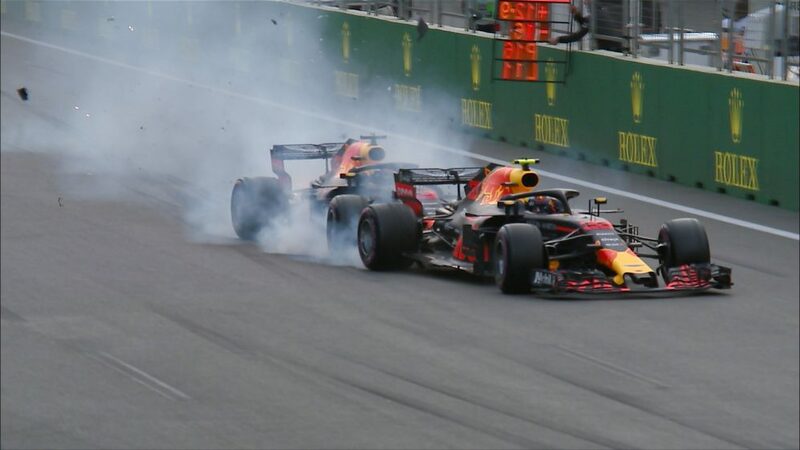 In its design stage, simulation will have confirmed to the team that this will improve overall downforce, and almost certainly with little, if any, penalty in drag as this part of the car is not a major drag inducer. 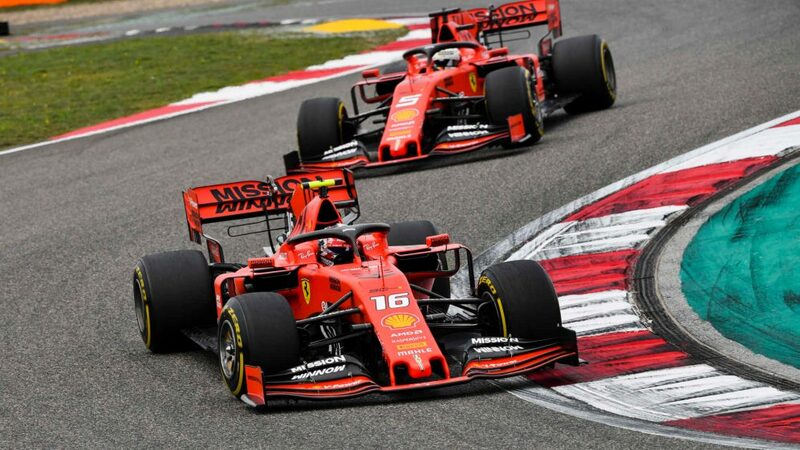 The more downforce that can be created for a given level of drag, the more leeway the driver and race engineer have to alter wing settings to give the required handling balance – without taking it out of the efficiency sweet spot. In comparison to the previous arrangement, as raced in Melbourne, the new barge board has an extra array of mini-fins within the initial part of the barge board structure. 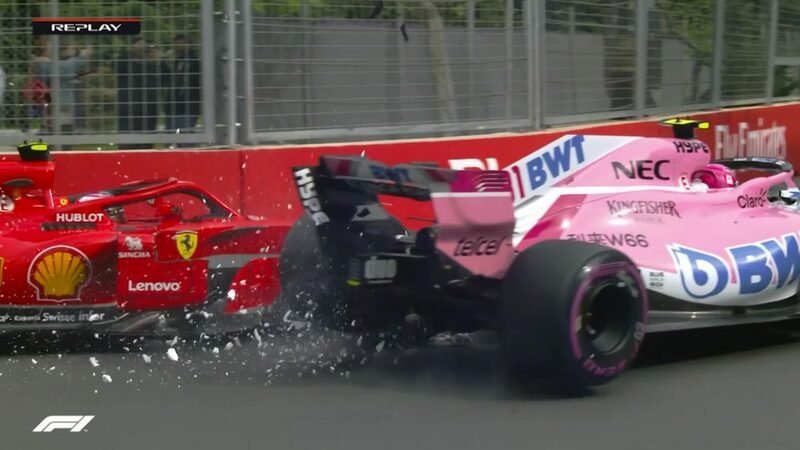 These are angled in such a way as to progressively turn around some of the flow that is passing through between the suspension after travelling over the front wing. It is sending that flow outwards to keep it separate from that which is travelling down the lower cockpit sides. 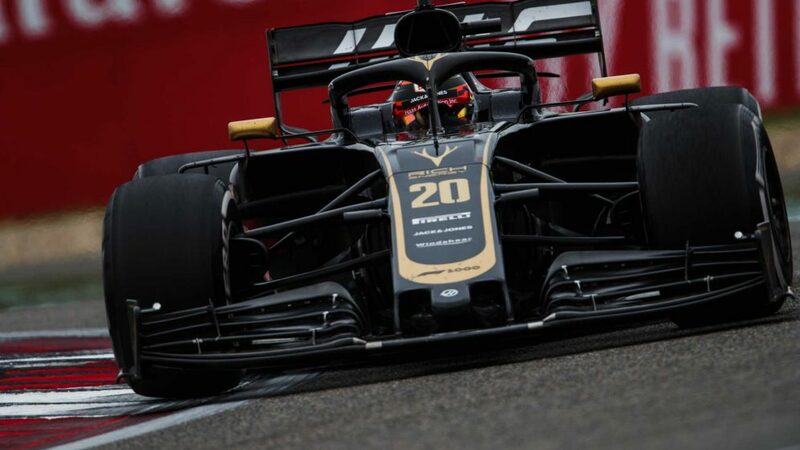 That latter flow is then turned by a second array of bigger vanes further back, and these are angled in such a way as to keep that flow attached down the body sides as it makes its way along the sidepods to the back of the car. 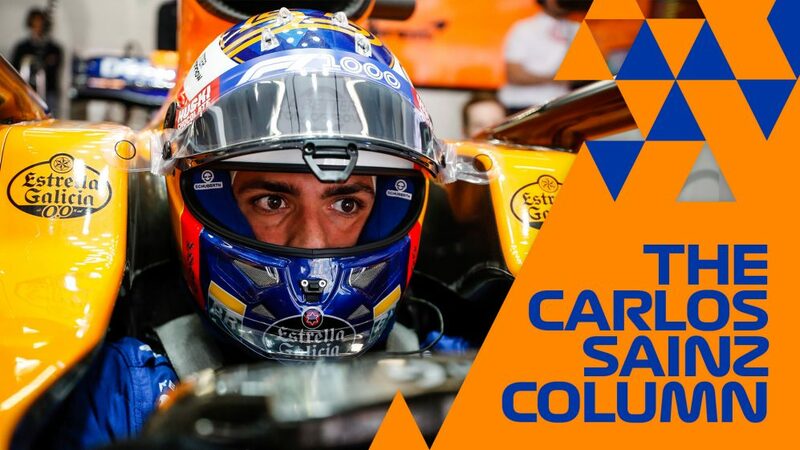 It’s vital that the speed of this flow is maximised – and the first set of vanes will help with that by keeping the turbulent flow from the suspension separate by sending it wide of the body. 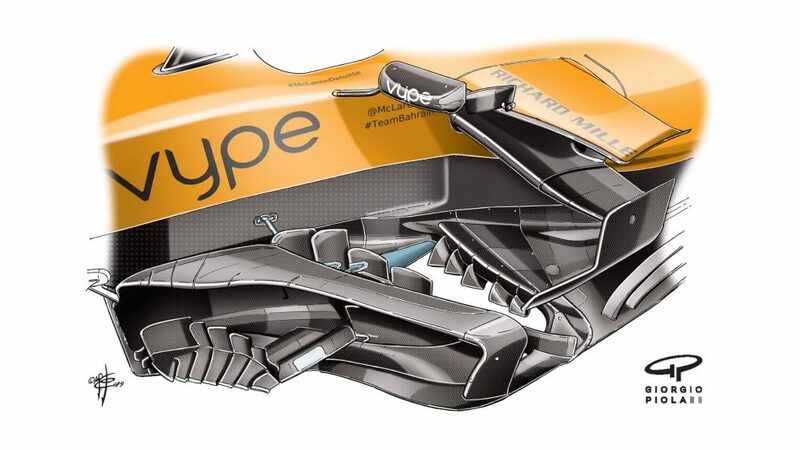 The faster the body-hugging airflow can be induced to travel, the greater the downforce that is created as it exits around the top and sides of the diffuser, which in turn induces the underfloor airflow coming through the diffuser to speed up, creating more suction on the car’s underside. The beauty with underfloor downforce is that it creates very little drag. 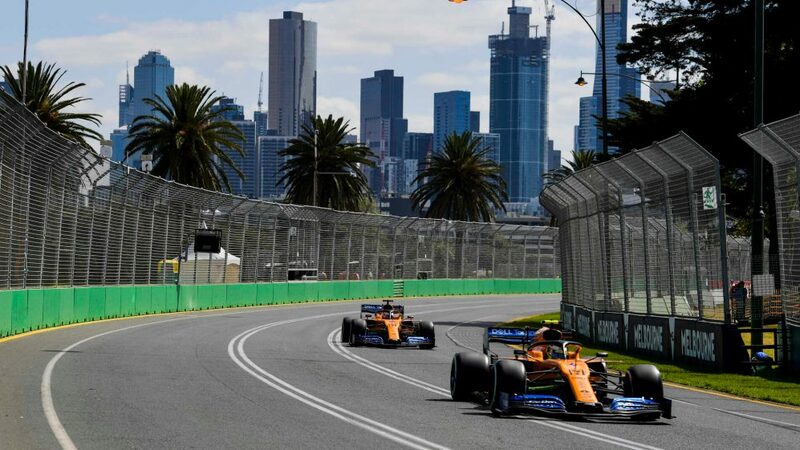 Creating extra downforce without much drag penalty should help McLaren have a wider range of balance options while still keeping the car in its peak aero efficiency range. It will be fascinating to see how they go in China.